Coins from the Crondall Hoard, 7th century. 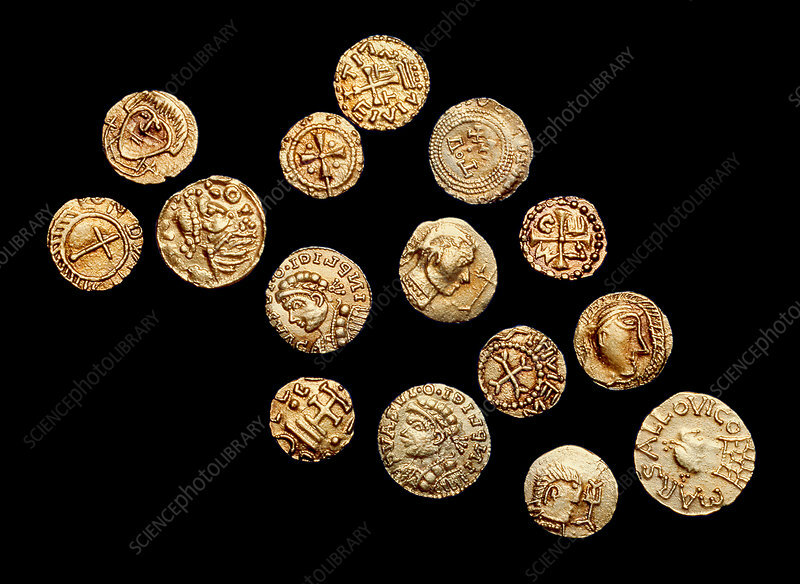 This Anglo-Saxon hoard of gold coins dates from 640 AD. Photographed in the Ashmolean Museum, Oxford, UK.